Thailand means “land of freedom”, one of the South East Asian “Tigers”. Never colonized, in the 19th century, it negotiated land for freedom to keep out of the clutches of Western colonialism. Religion in Thailand is varied. There is no official state religion in the Thai constitution, which guarantees religious freedom for all Thai citizens. The main religion practiced in Thailand is Buddhism. The large Thai Chinese population also practices Chinese folk religions. A significant Muslim population, mostly constituted by Thai Malays, is present especially in the southern regions. Statistically, Thailand is the world’s most heavily Buddhist country. About 93.6 percent of all the people in Thailand are Buddhists (nearly all of them Theravada Buddhists); about 5 percent of the population are Muslim with about half of them living in the southern Thai provinces of Narathiwat, Yala, Satun and Pattani and some districts of Songkhla Province; Christians make up 0.9 percent, and the rest of the faiths include Hindus, Sikhs, Baha’i and others. In Thailand, 57 per cent of Christians live in the North, while 51% are from the provinces of Chiang Mai, Chiang Rai and Mae Hong Son Provinces. Christianity has been introduced to Thailand firstly by the Roman Catholic mission since the second half of the 16th century during the period when Ayuttaya was the capital. In 1567 Roman Catholic missionaries came to give pastoral care to Portuguese citizens living there. Later after about 250 years, Protestant missionaries began to evangelize in Thailand in the first half of the 19th century. These missionaries made many sacrifices, were energetic and industrious, and were dedicated to their Christian ministry. Still today, we can see many evidences and achievements of their sacrificial and dedicated hard work. The challenges that faced the early Protestant missionaries were especially hard because of the strong Buddhist cultural and religious traditions found in Thailand. For over a thousand years the great majority of the Thai people have been Buddhists. In spite of this prevailing Buddhist influence, through God’s grace and power, they were able to plant the seeds of Christian faith in the hearts and minds of some Thai people. As a result of the patience and perseverance of these missionaries, these seeds have now grown and matured into a firmly established indigenous Christian community that has enabled many Thais to have the opportunity to know and serve Christ. Since then, the number of missionaries of various denominations has continued to increase. Christianity came to Thailand with a threefold evangelistic ministry- preaching, teaching and healing (Mt. 9:35-36). These three ministries, however, have the same mission, which is to make the Gospel of Jesus Christ known and to make Disciples of Christ according to the Great Commission as Christ said “go and make disciples of all nations, baptizing them in the name of the Father and of the Son and of the Holy Spirit, and teaching them to obey everything I have commanded you” (Mt. 28:18-20). “Our ultimate mission is “Bringing the Good News of the Lord to the people of Siam “. The missionaries realized the significance of education, which contributed as an effective strategy to teaching Christian faith and ethics and then proclaim the Gospel. Christian schools have been a major component of church’s ministry in Asia for over 150 years. Missionaries in most countries had founded schools as a means to proclaim the Gospel and to acculturate the local people to Christianity Churches then became the spearhead to bring new socio-cultural, economic and political changes in the countries where they serve. Education has individual and private benefits, but it is also very much a public benefit because it enhances the whole community. Christian schools emphasize the contribution of education to the common good of the society. The strategic mission, especially of the Church of Christ in Thailand (CCT), the oldest Protestant church in the country, has been developed to provide appropriate and timely response to the changes in the society based on the doctrine of the Word of God, examples from Jesus Christ, as well as raising awareness about the way of living in the name of Christ according to the faith in Thailand. The Church of Christ in Thailand seeks to carry out mission and ministry with three-self principles: Self-governing, Self-supporting, Self-propagating. The Church of Christ in Thailand has been self-governing since 1934, especially since the time the American Presbyterian Church granted full management authorization as well as full responsibilities regarding funding of the Church of Christ in Thailand. It is necessary to accelerate the development of educational and medical institutions to strengthen financial management and develop assets to their maximum potential, as well as accelerating the development of resources (land) to bring business benefits. This will increase the support for various ministries for a more efficient and effective result, and increase the ability to expand the mission to provide a wider societal reach. The leadership of the Church of Christ in Thailand has implemented self-support in various forms, such as the “30 Satangs/Cents to Help Self-Supporting Churches (1967),” “Half a Bowl of Noodles Program (1977),” and currently the “Self-Supporting Church Program 1979/2005 (2005),” and many others. The Protestant Church in Thailand has set a non-negotiable policy affirming that self-propagation is the heart of the Church of Christ in Thailand. The gospel must be done by “oneself,” which means this practice is a necessity for all members of the Church of Christ in Thailand. Local churches, all churches/places of worship must hold this practice in high regard. Educational institutions, medical institutions and all agencies, as well as various departments, must preach the Gospel. Once each individual and each work division proclaims the teachings, with existing resources and personnel, there will be more disciples, serving more effectively. Public evangelism: Normally well-known evangelists in Thailand are invited to speak in organized evangelistic events. Visiting: Personal and family to family visitation is quite popular in Thailand. Broadcasting: Various evangelical programs have been broadcasting through radio, free TV, and cable TV channels. The Church of Christ in Thailand (CCT) in conjunction with Korean churches, produce programs through its CGNTV from the CCT Building in Bangkok. Publication: Various publications such as pamphlets, brochures, books, magazines and evangelistic articles are produced and distributed. At the moment there are at least 5 Christian book stores in Thailand. Among them, the Suriyaban Bookstore operates under the Church of Christ in Thailand. Evangelistic team ministry is also considered as one of the effective strategies to draw non-Christians to Jesus Christ. Since 1980, Christian Communications Institute (CCI) of Payap University Chiang Mai, Thailand, was founded to communicate the gospel through Thai Culture. CCI intends to use every art form possible, both modern and traditional, to communicate the gospel in ways easily understood by the Thai people and to provide models for positive social and family life. The CCI helps lead students, in schools, churches and villages all over Thailand, to Christ each year, as well as performing evangelistic Thai folk dramas abroad. On the threshold of the ASEAN Community and the rapid changing Asian socio-economic and cultural contexts, Thai churches and mission institutions face new challenges. The 3 pillars of ASEAN Community- ASEAN Political and Security Community (APSC), ASEAN Economic Community (AEC) and ASEAN Social and Cultural Community (ASCC) unifies 10 ASEAN countries as one community. Evangelism seems to be a critical issue in Thailand for many years now and will still continue to be one. Firstly, “to be truly Thai means to be Buddhist”. The majority of the Thai people feel that to be Thai means to be Buddhist’. Consequently when someone becomes a Christian, he/she usually experiences considerable family pressure and village opposition, but he/she is rarely physically persecuted. In Northern Thailand, Noi Sunya (Suriya) and Nan Chai, two early converts to the Christian faith, lost their lives as a direct consequence of their conversion to Christianity. On Tuesday morning, September 14, 1869 the two martyrs were executed by order of the ruler of Chiang Mai. The reason given by the ruler for the execution was the refusal of the two new Christians, who were in his employees, to work on the Sabbath. They were charged with disobedience and sentenced to be beaten to death because of their refusal to do the ruler’s work. Actually, the ruler of Chiang-Mai was under increasing political and social pressures, and he blamed the Christians’ presence for his difficulties in ruling. So, he had decided to punish these two Christians as a way to discourage others. Later, challenged publicly by Rev. Dr. McGilvary, Prince Kawilorot openly acknowledged that the only reason the two men had been killed was because they were Christians . Secondly, it has been found that there are similar evangelical approaches in Thailand, as well as in other countries which are two schools of thought- the evangelical school and the ecumenical school. The evangelical school sees the necessity of proclaiming the gospel to non-Christian believers and attempting to make them the Disciples of Christ. The ecumenical school, on the other hand, holds that God is also working among the non-Christian people. Therefore it is not necessary to directly convert them to Christian faith, but rather to spread Christian ideals and philosophy to them, and seek collaboration with them in socio-economic realms as well as in religious ones. The conflict between the evangelicals and ecumenicals is so great that the Body of Christ has been divided, and that there is no love among His disciples. The big challenge is how the bodies can be unified in which each part has different function. In 1962, the Thailand Theological Seminary (currently McGilvary College of Divinity, Payap University/ MCD-PYU) took an initiative to deepen Christian insight into Buddhism. The Thomson Memorial Lectures was a platform for Christians and Buddhists dialogues. In order to strengthen relationship and cooperation among the Protestant churches, The Coordinating Committee of Protestant Church in Thailand was founded in 2004. In May 2004, the first ever missionary strategy congress took place in Thailand. The result was a commitment to plant a new church in each of the nation’s approximately 800 districts by 2010, with a “Christian presence” in each of the 8,000 sub-districts and a “Christian witness” in each of the 80,000 villages. This “new national plan” unites Thailand’s three different Protestant streams under the Thailand Evangelism Commission (TEC): the Evangelical Fellowship of Thailand, the Church of Christ of Thailand (CCT) and the Baptists Association. The congress, with the motto “Get together, go together, gain together” also marked the 175th anniversary of Christianity in Thailand. 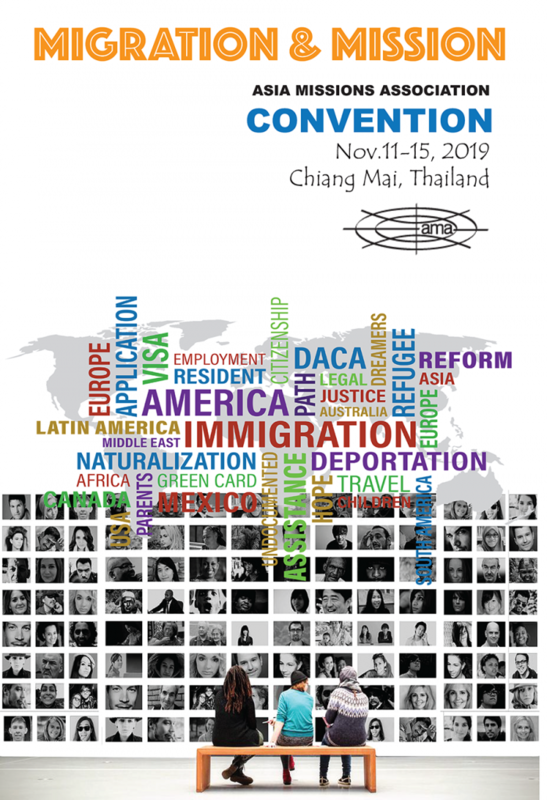 The latest “Congress VIII” was jointly held in 2015 at Thammasat University in Bangkok and more than 5,000 people took part in the event. The Congress put the strategy in 2020 to plant a new church in all districts (Amphur) and sub-districts (Tambol) in the country. Thirdly, Interfaith and inter-religious dialogue has been a hallmark over the years in Thailand. Within the boarder culture in Thailand, important questions have always been raised including; how people of different religious backgrounds and practices could live peacefully together and, is there any way for interfaith or inter-religious dialogue? In Northern Thailand, the “Dharma Logos” and the “Sinclare Thomson’s Memorial Lectures” projects of the McGilvary Divinity College of Payap University (MDC-PYU) are examples of this endeavor. Though it’s been quite a long period of time since the establishment of Christianity in this country, its membership is still small. Christianity has been introduced in Thailand since the second half of the 16th century and yet the number of Christians in Thailand is still less than one percent of the total population. What is wrong in our ways of proclaiming the Gospel? Now it’s in the hands of each every Thai Christian of all denominations. It’s a time of unity, being in partnership in Gods mission together. We continue to pray for new visions and strategies that may be relevant to new changing context of Asia today. http://thaichristianfoundation.org/ “Christian Communication Institute, Payap University. * This National Report was presented at the AMA 12th Triennial Convention in Manila Philippines from April 18-22, 2016. ASEAN Community is an association of 10 countries in South East Asia founded in 1967. Member countries include Thailand, Philippines, Indonesia, Malaysia, Singapore, Brunei Darussalam, Vietnam, Lao PDR, Myanmar and Cambodia. The ASEAN Community has been official and systematically operated since January 1, 2016. Dr. Prawate Khid-arn is the AMA Regional Secretary for South East Asia. He earned his Ph.D. in Community Development from the University of the Philippines-Los Banos and his MA in Social Work from Thammasat University, Bangkok, Thailand. He also received an Honorary Doctor of Divinity degree from Tainan Theological College and Seminary in Taiwan.